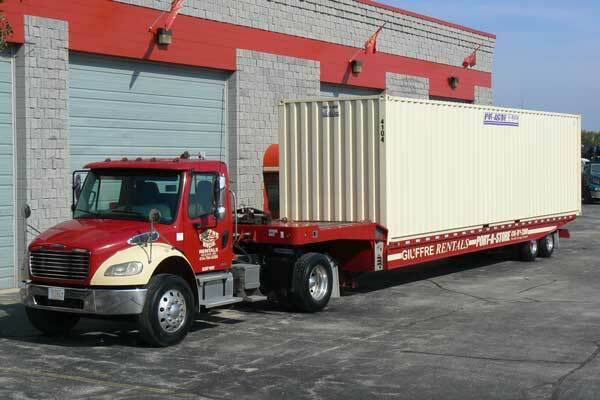 Wisconsin's Premier Mobile Storage Provider for over 20 years. 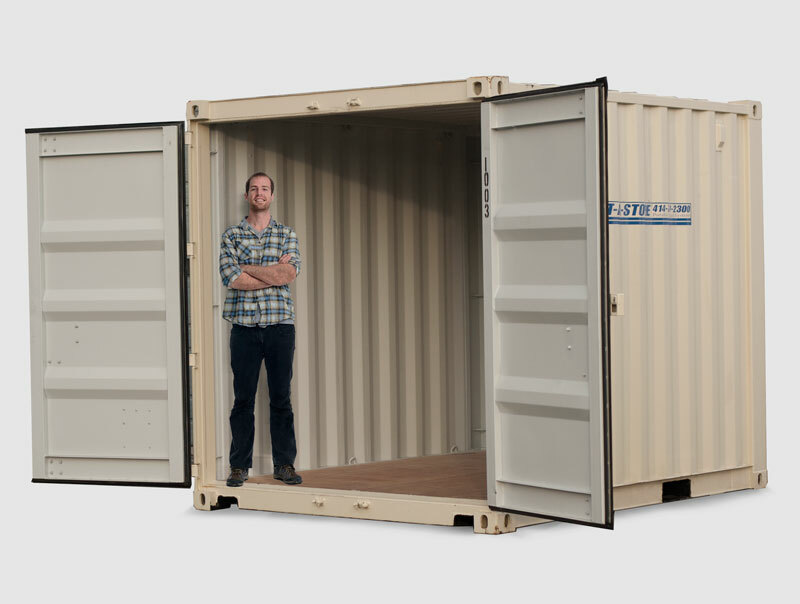 up to our massive 40x8' "Tall Boy"
High Security, ground-level storage.. Delivered to your site! NEED MORE SPACE? WE'RE ON OUR WAY! For over 20 years, Port-a-Store has been providing on-site, mobile, storage to residential, and commercial customers alike. Weather you’re just remodeling your kitchen, and need a place to store appliances and building materials, or you’re a big-box retailer, in need of an extra 15,000 ft² for holiday inventory, Port-a-Store can help. Our experienced staff, and available, in-stock inventory is unmatched by any competitor in south-east Wisconsin. Our dedication to 110% quality means that we can meet your delivery requirements, and provide you with a superior product, on-time, every time. One thing that sets us apart from our competitors is the condition of our rental fleet. 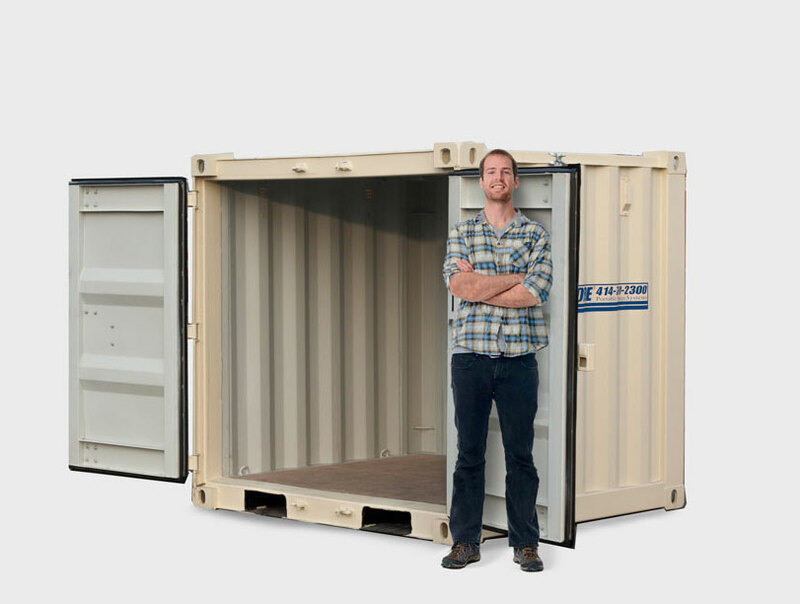 Each year, we cycle-in brand new storage containers to our fleet and we decommission any boxes that fall below our threshold for what we believe our customers would want to rent. This means that our entire inventory is uniform in appearance, color, and will will arrive on time, clean, and functioning perfectly. 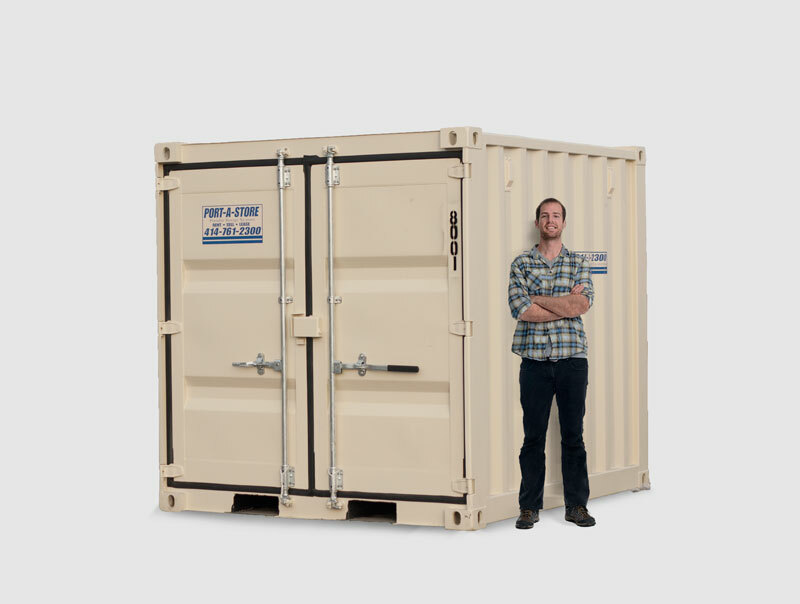 Port-a-Store is proud to introduce several new sizes and configurations to the Wisconsin mobile storage market. 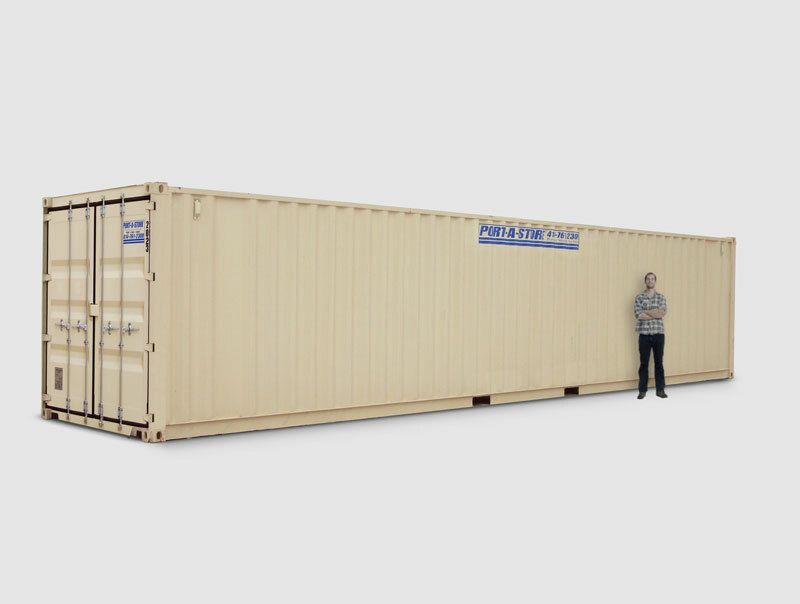 With sizes ranging from 6′, 8′ 10′ 20′ & 40′ – we’re sure to have the perfect sized mobile storage pod to suit your need. 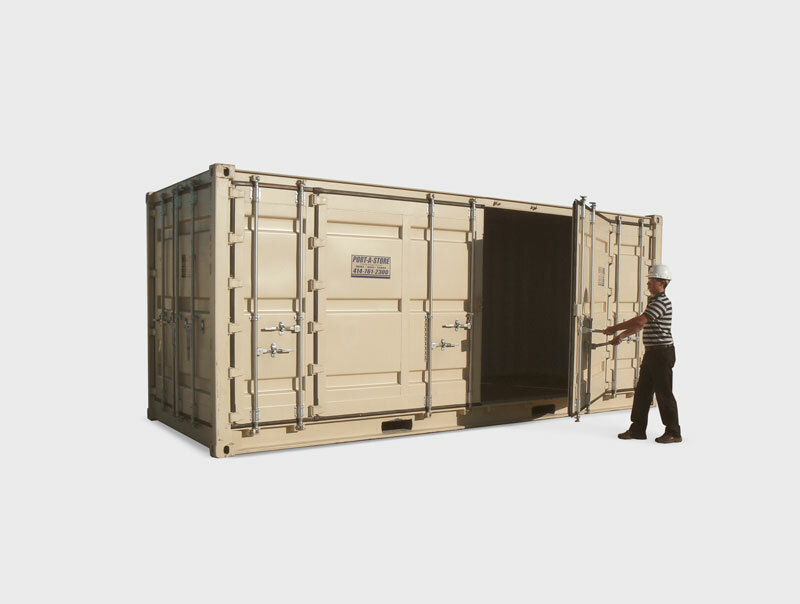 We also offer our 20×8′ unit with a unique “fully opening” side door, so longer materials can be loaded into our portable storage units from the side, or the rear through the conventional doors! Our exclusive “open-side” 20′ unit offers a conventional set of doors at one end, as well as a unique, fully opening set of side doors. This unique configuration gives you the ultimate flexibility when it comes to loading, (and accessing) your goods. Having the ability to load from the side also means you can load and store longer materials like pipe, lumber, etc much more easily than conventional end-loading storage units! 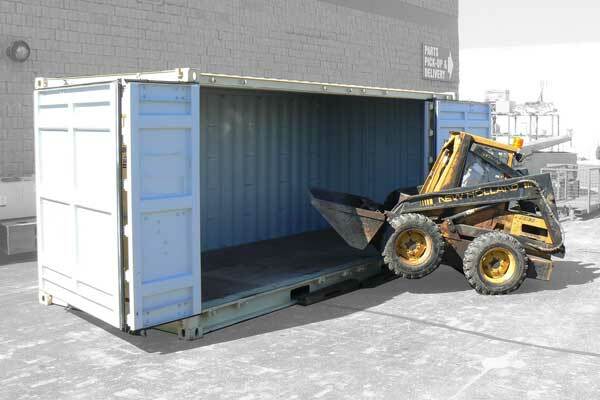 The advantages to having a portable storage container delivered to your site over a trailer, or using a self storage facility is that your unit is nearby, and is located at ground level. So loading and unloading is a breeze. 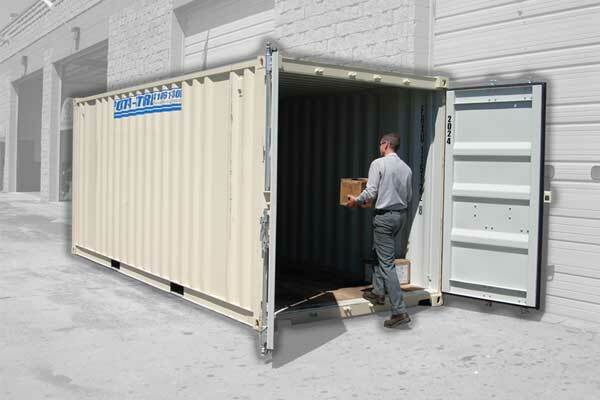 Security: Most other on-site storage units are made of thin sheet metal, and plastic. Our units are built of high-strength, American Coreten™ Steel plate. Our door hinges are welded to the doors, and locking mechanisms are covered with steel plating, making them a much more secure option than the disposable, plastic units delivered by our competition. Your storage units will be delivered to your site on one of our multiple delivery vehicles. 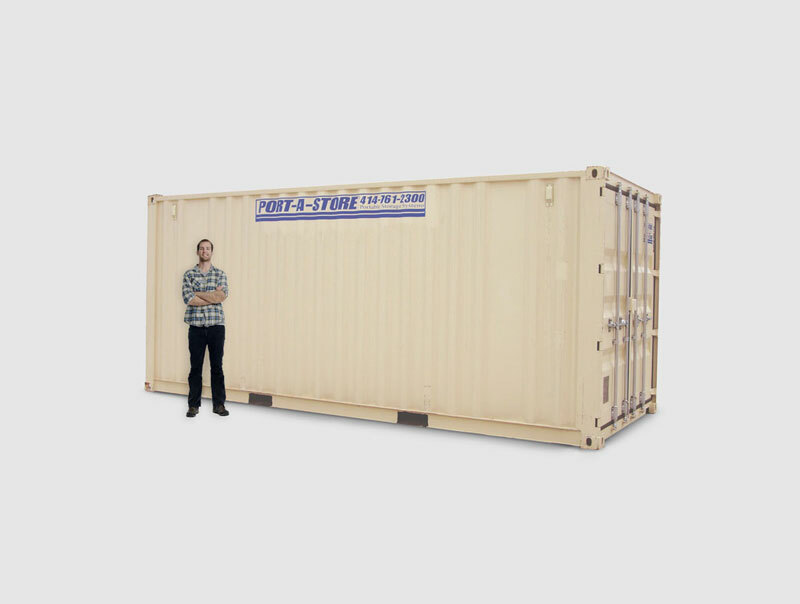 Depending on the size of the storage pod you order, your unit may arrive to your location on our semi-truck / trailer, or our custom built tilt-body unit. Our 6′, 8′ and 10′ mini units will arrive on our smaller truck, and will be able to be positioned into more challenging locations such as residential driveways. Custom delivery options also exist to accommodate customers with special location requirements.